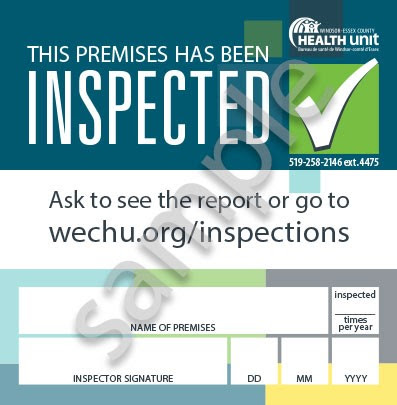 The Windsor-Essex County Health Unit has launched a new website where all routine inspections, enforcement activities, convictions, closures, and advisories will be posted. The new website will replace the five-star Safe Food Counts program. In 2018, changes were made to regulations under the provincial Health Protection and Promotion Act which made it mandatory for the WECHU to publicly disclose reports in accordance with the Ontario Public Health Standards. New signs will also be posted in all inspected establishments. Seeing one of these signs at a place or business in Windsor-Essex County means that it has been inspected by a Public Health Inspector. The old five-star signs will no longer be used.